These easy, spicy vegan Delicata Squash Tacos are perfect for fall! Filled with kale, mushrooms, squash & pumpkin cashew cream, they're healthy & delicious. 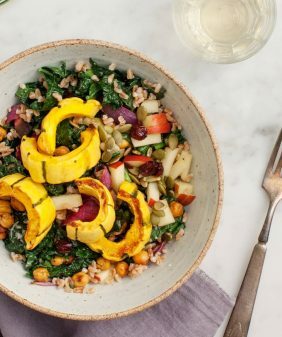 Delicata squash is one of my favorite squashes for a few reasons: 1. you can cut it without worrying about cutting your arm off, and 2. you can roast it with the skins on – no peeling necessary – and it’s so sweet and tender. I’ve been on a cashew cream kick lately, and this one is a version of the sauce that I put on these pumpkin tostadas a few weeks ago. It’s sweet, (a little) spicy, and super yummy. Everyone always asks me about the tortillas I use. These are the homemade whole wheat tortillas from Central Market (here in TX). 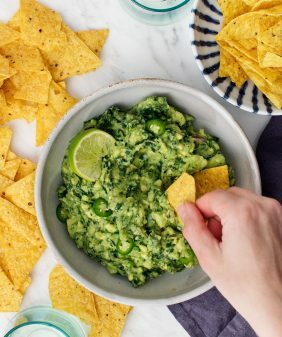 For this recipe, I would stick to flour tortillas over corn tortillas. The filling is a little, well… filling, and the whole wheat tortillas really hold these all together. Make the pumpkin cashew cream: Blend together the cashews, water, lime juice, pumpkin sauce, garlic powder, and a pinch of salt and pepper. Taste and adjust seasonings. Chill until ready to serve. Preheat the oven to 425°F and line a baking sheet with parchment paper. Slice the squash in half lengthwise, scoop out the seeds and slice into ½-inch segments. 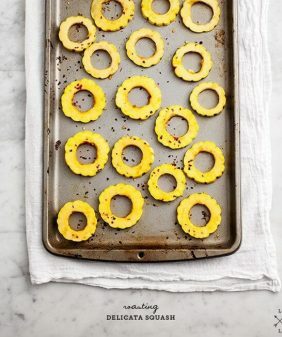 Toss the squash slices with a drizzle of olive oil and pinches of salt and pepper and roast until tender and golden brown, about 30 minutes. Heat 1 tablespoon of olive oil in a medium skillet over medium heat. Add the onion slices and a pinch of salt and pepper and cook until soft and browned, 5 to 8 minutes, stirring occasionally. Add the mushrooms, and cook until they are soft and browned, about 5 more minutes, stirring occasionally. Add the apple cider vinegar, stir, reduce heat, and cook until the mushrooms are very soft. Stir in the kale and cook until it wilts, about 1 more minute. Season with salt and pepper to taste. Assemble the tacos with the onion/mushroom/kale mixture and roasted squash. Top with desired toppings. 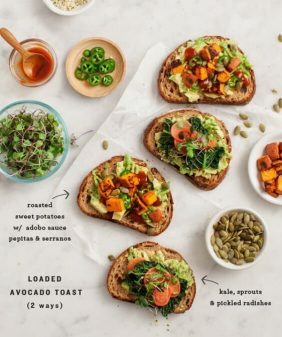 Serve with the pumpkin cashew cream and lime slices. *Soak the cashews in water 3 to 4 hours, preferably overnight, then drain and rinse. Simplify this recipe by skipping the pumpkin sauce and topping these with your favorite jarred tomatillo salsa! Oh yummy! Just what I would Need right now! 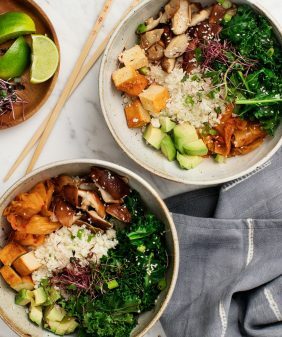 I love how you always seem to make tacos healthy : ) This looks delicious! *raises hand enthusiastically* I love tacos all day every day, even and especially for special occasions! We usually do a more traditional Thanksgiving, but my mom always served tacos for Xmas, and I’ve continued that with my family. This recipe looks great. Hip, hip horray for taco day. 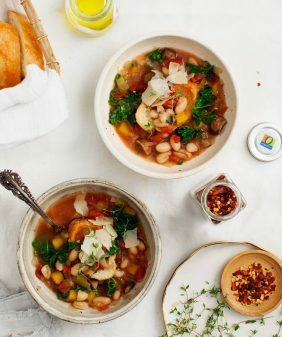 And a double hip, hip horray for a squash that doesn’t require a trip to the hospital (Am I the only one who loathes cutting butternut squash??!). 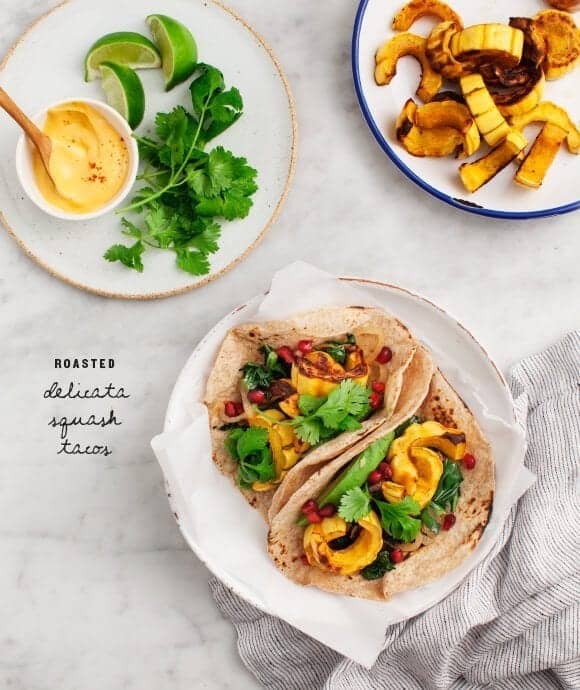 These squash tacos look absolutely divine. . .and while I likely would not serve them for Thanksgiving. . .they certainly would be a meal that I wouldn’t hesitate to include in my everyday dinner rotations. Those sound like killer tacos I must try to make these!! When I think of the holidays I never really think of tacos! But why not have tacos! I really need to get on my delicata squash game. You’ve literally convinced me that it’s pretty silly I haven’t been buying them at all! This recipe is great! I love the colors in this dish! These look so good Jeanine! 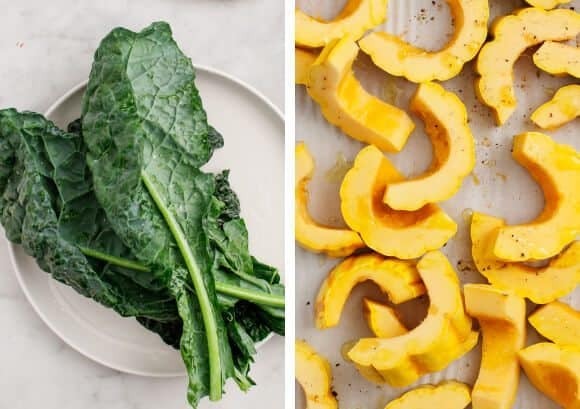 I love delicate squash as well, so I’ll definitely have to try these! Woah, this is a beautiful dish you have here. and I bet the tacos taste delicious too, can’t wait to try them. Pinning! Oh man! Thanks so much for this recipe and the inspiration! I bought my first delicata squash the other day and I wasn’t quite sure what I wanted to do with it. I can’t wait to try this. Yay!! I keep looking for delicata squash, but I think I need to make it to the more-fancy store because now I REALLY want some. This was amazing! The ACV really took it up another level. I thoroughly enjoyed these and will be making them again. Thank you for the wonderful recipe! Hi Alison, I’m so glad you loved these tacos! Thanks for taking the time to come back and let me know! Made these last night – SO AMAZING. And easy! Ugh I’m obsessed.